A few months ago I started to empty our budgies’ seed dish into a disused flowerpot. I wondered if a few would sprout and grow. But this action had a quite different outcome: one that has given us great delight. 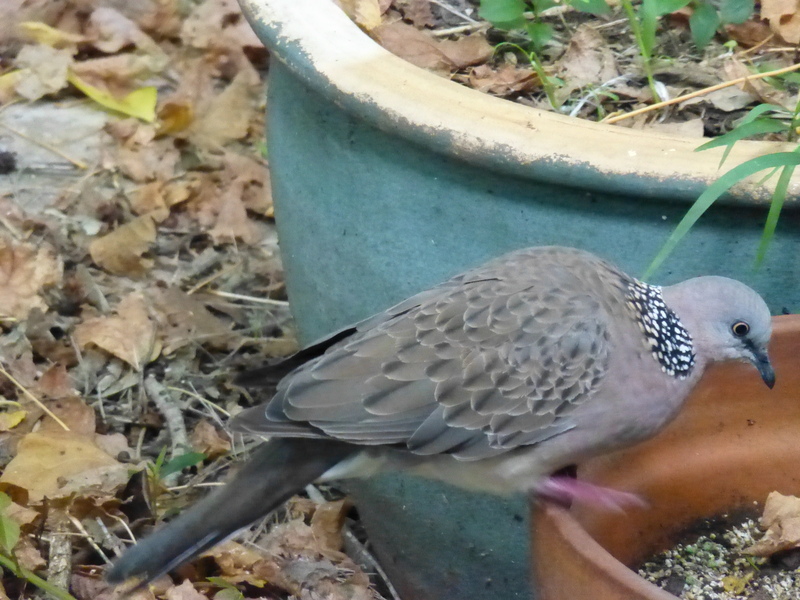 Nearly every day we see one, and occasionally a pair, of Spotted Doves feeding there. These are rare birds and really lovely. They brighten our days!